Ever since I published my blog about 5 Best Matcha Green Tea Brands In The Market, my friends and relatives keep asking many questions about matcha. Obviously, anyone serious about the health would defenitely ask these questions. So, today I am going to answer these questions. Let me first clear one thing that matcha is not like any other beverage that tastes good and can be swallowed easily. No. Then what is so special about matcha and why has it become a popular drink? Matcha is consumed by many health concious people because of its numerous health benefits which no other beverage can give. Now, let us dive in to the questions and answers below. 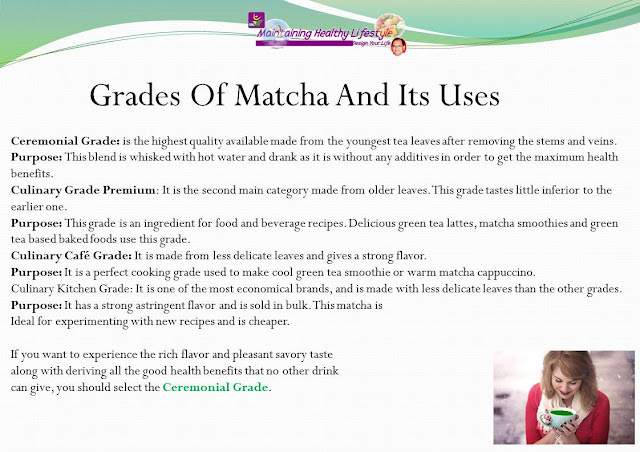 Point 2:Why should you take organic ceremonial grade matcha green tea? 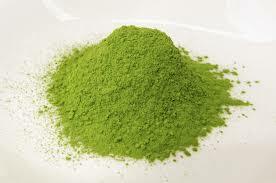 Point 3:How Much Does the Best Matcha Green Tea Powder Cost? Point 4:What is a good matcha? Point 5:How to store matcha? Point 6:How to prepare matcha drink? Point 7:What is the recommended amount of matcha per day? Point 9:Where to Buy Ceremonial Grade Matcha Green Tea Powder? Matcha is a superior quality special type of powdered green tea that is grown and produced in Japan (in most cases). It is considered superior due to its cultivation and production processes. Most of the matcha cultivators employ manual expert hands t to pluck the youngest, greenest two leaves at the tip of each new shoots. Nothing beats the trained eyes and soft touch of this centuries old tradition. It is, in fact, the only way to ensure the highest quality matcha tea. Obviously, not sacrificing the quality the cost of production is higher. Tender leaves plucked are once again screened to absolutely ascertain the quality which makes ceremonial grade matcha green tea powder so special. Subsequent to leaves plucking a series of operations are carried out till it is finally packed and shipped. Unlike other types of teas, the matcha green tea powder is not steeped before consuming, so you are consuming the entire leaf, making Matcha more potent than other tea varieties. Matcha tea is brimming with powerful nutrients that help natural calmness and helps you feel more relaxed while actually promoting a keener mental focus and cognitive ability. In fact, only 1/2 tsp is needed to brew a traditional cup of Matcha. Ceremonial grade matcha green tea has innumerable health benefits. The nutritional value of this tea is such that, one cup of matcha tea is equivalent to consuming of 10 cups of regularly brewed green tea. This is because when you drink matcha you ingest the entire leaf and receive 100% of the nutrients of the leaf. Matcha tea contains antioxidants 137 times more than regular brewed green tea. There are many grades of matcha in the market, but this grade of matcha is different from other grade green teas. • The quality of the product – is it stem or is it leaves? Therefore, it is the purest and concentrated green tea powder prepared carefully under the strictest quality assurance standards only in Japan. While matcha is produced in many parts of the world, the matcha from Nishio city in Aichi and Uji city in Kyoto are both generally considered the top producing areas, accounting for 80% of all the matcha produced in Japan today. Japanese Agricultural Standard for that matter is very strict in ensuring that tea cultivation in Japan without the use of herbicides, pesticides, or manufactured fertilizer. JAS will certify any agriculture product if it is produced using organic methods. This finally adds to the potency of ceremonial grade matcha green tea. One of the important points to be noted is that matcha has a relatively high caffeine content, however, the impact of caffeine found in matcha is quite different from that found in coffee. Caffeine in coffee absorbs very quickly into the body hence, coffee caffeine is well known for its quick energy spikes. On the other hand, matcha caffeine is absorbed much gradually into the body (6-8 hours) and gives a slower release of energy. Therefore, matcha caffeine is not associated with the well-known negative side effects that coffee caffeine is associated with. A good quality matcha will cost you anywhere in the range of $25 - $50. It is expensive, but you get what you pay for. Especially, Considering the health benefits, that one can derive from it consuming just ½ spoons per day. Please note that matcha ranks in the top as far as the ORAC values are concerned. This means that matcha is truly the powerhouse of antioxidants. Taste and color are the two main characteristics that can tell us whether the matcha is of good quality. Matcha reviewing is, like most food-type reviewing, quite subjective. One type of matcha may taste good to an individual but may not be as good to another individual mainly due to the different taste sensing power of both individuals, however, the physical appearance like color may not differ from individual to individual. For the same variety of matcha, taste variations can also occur in the method of preparation of the matcha drink. This could happen if the water was too hot (> 75 degrees) or too much matcha, or the matcha not whisked efficiently. Matcha needs to be whisked until a thick froth with many tiny bubbles floating on the surface. If the froth is discontinuous, that reveals the liquid underneath, or big bubbles visible on the surface, the flavor profile of the matcha will be poor compared with one that has been whisked correctly. This is due to insufficient whisking the matcha thoroughly, but mostly due to not using enough powder and/or using too much water. If that is the case, you will need to either increase the powder amount or decrease the water amount. This occurs simply because the matcha not sifted. Color - Generally, while selecting the best matcha green tea powder, the color should be bright, vibrant spring green. 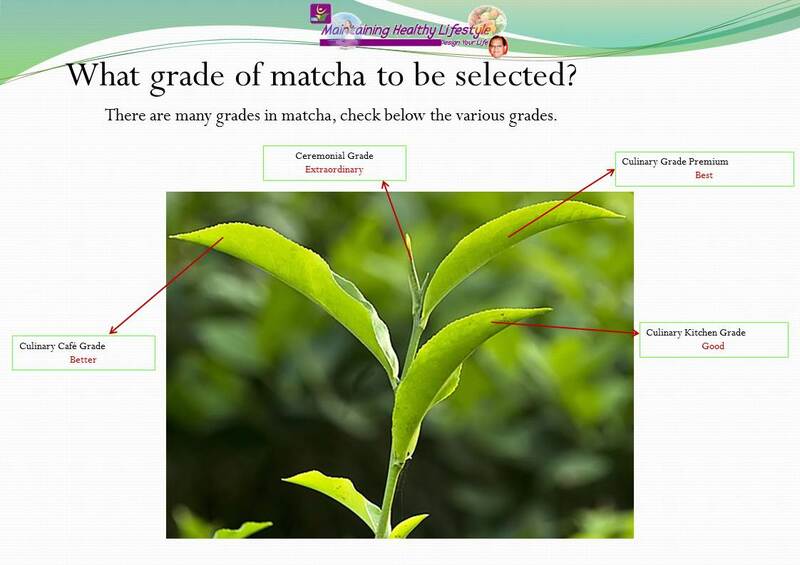 This indicates that the matcha was made from the top tender leaves on the tea plant. Taste - The best matcha green tea has a very pleasant, slightly grassy, green tea flavor. It is not bitter or offensive in any way. Matcha should be stored in a cool, dark place. The important thing to remember is to keep your matcha away from light, heat and especially moisture. No refrigeration is required to store matcha. By storing matcha in a cold refrigerator can cause condensation and that is the last thing you want is in your matcha. Preferably, consume matcha green tea powder within one month of opening. This is the main reason matcha comes in small tea metal containers often of 30 grams weight. Manufacturers want to ensure that the tea consumed fast once the container is opened. The process of matcha drink preparation is different from the usual green tea preparation. This is what makes matcha a special drink. Preheat the matcha bowl by filling it to 1/3 full with boiling water. Then place the whisk facing down into the water to wet the edges of the prongs (not the entire whisk). Once the bowl has completely preheated, empty out the water and dry the bowl out ideally with a linen material. Set the whisk aside then measure 70ml of boiling water into a cup and allow the temperature to reduce. Once the water that was measured in STEP 1 drops to 70°C -80°C pour it into the matcha bowl. Take the whisk in one hand and hold the rim of the matcha bowl along with your different hand. Whisk the matcha briskly in a ‘W’ motion with your wrist till the matcha develops thick froth with many little bubbles on the surface. Generally, people consume matcha on a drink 1-2 servings daily. If anyone consuming for the first time, it is best to begin Consuming one serving daily. Organic matcha has many vitamins, minerals and trace elements useful to our body. The main ingredient in matcha tea is Epigallocatechin (EGCG), L-Theanine and flavonoids. While EGCG and flavonoids work in our body to neutralize the effects of free radicals, L-Theanine a very vital amino acid that helps improve brain functions in our body. The benefits derived from these antioxidants found in matcha in its natural state without any side effects enhances the need to include this magic potion in our regular food intake program in order to maintain a healthy body and mind. Here is a list of the chemical composition of this unique natural food called matcha. Genuine Ceremonial grade matcha green tea is available in plenty in the market, but you need to select the best in quality and pricing that suits your pocket as well. The best place to buy ceremonial grade matcha green tea powder is Amazon.in. You can get matcha at various prices ranging from Rs 420/- ($6.6) to Rs 21/- ($0.3) per gram here. This place is best to suit all levels of customers. Amazon is the world's largest retailer. They are responsible for the products that they sell and they do not want to associate with products that don't live up to their claims. Following are the reasons why you should depend on a quality retailer like Amazon.in. • Buy always from a retailer that you know and trust! Anyone can start a website with their own brand name on the product and make any claims that they want. Therefore, there is every chance that the customers can get deceived. Hence, we recommend the best place to buy matcha green tea is Amazon.in Amazon is the world’s largest retailer. They have a reputation and you can rely on them because hundreds of health conscious matcha drinkers have reviewed the matcha that you want to buy. • Buy from websites that make shipping and returns easy. Amazon is the only online retailer that has made clarity on their return policy, which is very simple and provides assurance to the purchaser. Not to mention that all returns include free shipping! The bottom line is customers can buy matcha that is from Japan, at Amazon, without paying tons of extra money, and waiting several extra weeks for their matcha to be delivered. • Buy from websites that have a detailed product description. It is easy to provide a nice, aesthetic description, but consumers must also have the item specifics. For example, the exact weight of the product, and dimensions if applicable, the precise ingredients, any necessary allergy warnings. Without this information, customers cannot make an informed decision to purchase. All Amazon products always have a detailed item description. • Buy from a website that has verified customer reviews. Most respectable online businesses have verified customer reviews, both positive and negative, to provide their customers with information on their products. This helps customers to take a decision about a product before they order it. Not all customers give a positive review. Therefore, a transparent retailer would capture both the positive and negative feedbacks. While it is not a bad sign to have happy customers, it is usually too good to be true for a retailer to have a 100% satisfaction rating. It is, however, important to look for online stores that have a majority of positive reviews and/or ratings listed with the product information. Almost every single product available via Amazon has a long list of verified purchase reviews. • Buy only from websites that have secure payments and ordering systems. Amazon has such system. Amazon assures you that your information is completely protected and that your purchases are safe. I think I have explained clearly of where to buy matcha green tea powder. It goes without saying that consumers want to ensure they are getting the value for their money on a quality product, from a trusted source. I believe that Amazon is the best place to buy matcha green tea powder for obvious reasons. Mainly there is a great deal of variety in regards to brands and grades. When purchasing matcha, there is only one place to shop, Amazon!